Moving to Seattle? Looking for the perfect neighborhood? 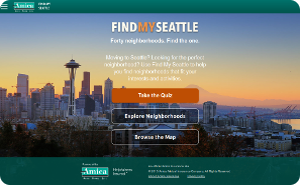 Use Find My Seattle to help you find neighborhoods that fit your interests and activities. 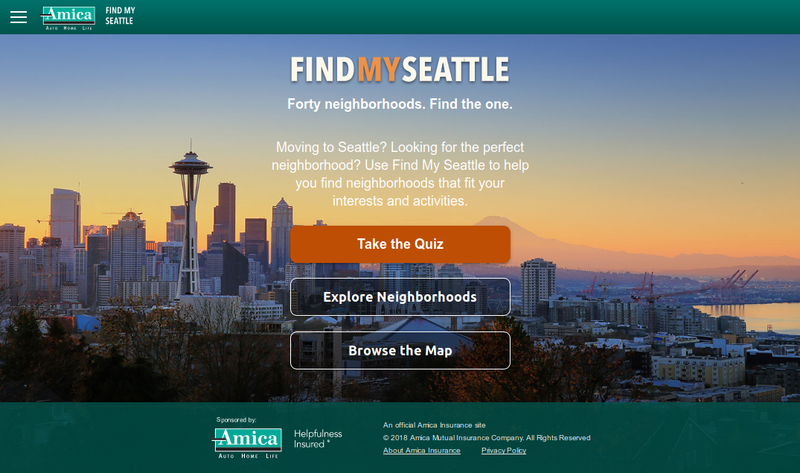 Working with the team from Spatial Development International and Copacino + Fujikado, I developed the neighborhood ranking algorithm that matches you with your 'best fit' neighborhood based on a series of quiz questions. 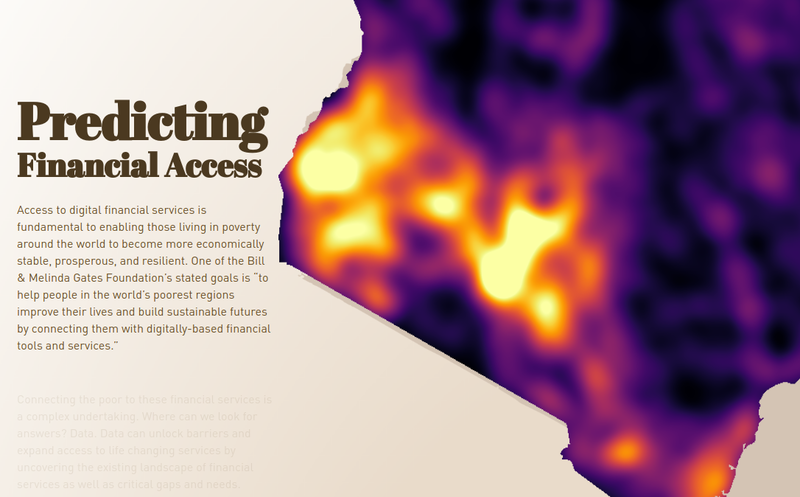 Access to digital financial services is fundamental to enabling those living in poverty around the world to become more economically stable, prosperous, and resilient. 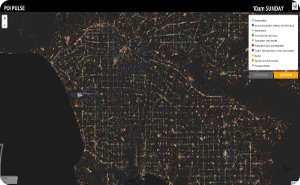 Using statistical and spatial analytical means, this project aims to use probabilistic models to predict the location of financial touch points that were previously not known. 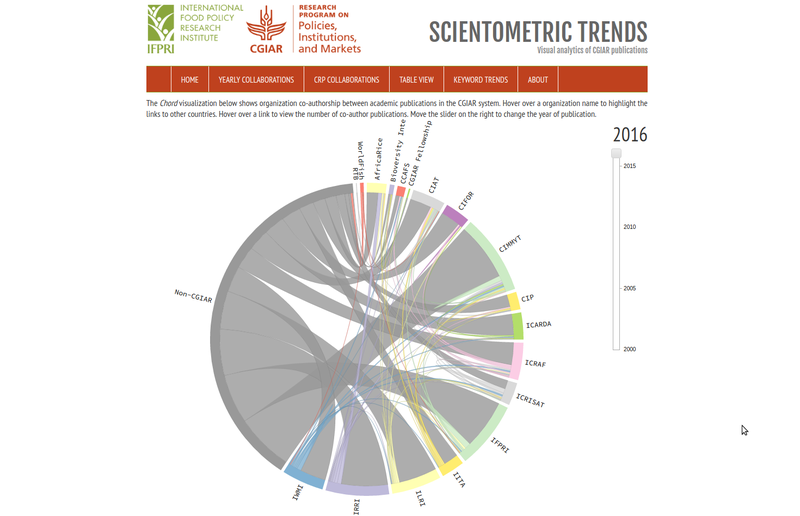 The CGIAR Scientometric Trends portal visually depicts trends within scientific publications published via members of the Consultative Group for International Agricultural Research (CGIAR). 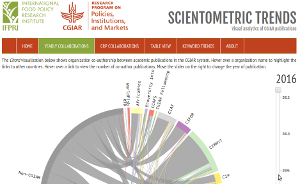 Specifically, this portal shows collaborations between member organizations as well as change in keywords over time. (To) puts powerful location tools in the hands of those facing life transitions, where location is the driver for success and happiness. Whether you’re searching for the right school, making a career shift, or even a change in family status—choosing the right "place" can be an advantage from the start. 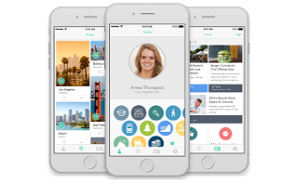 (To) delivers location information for the perfect fit of lifestyle, family and career aspirations. 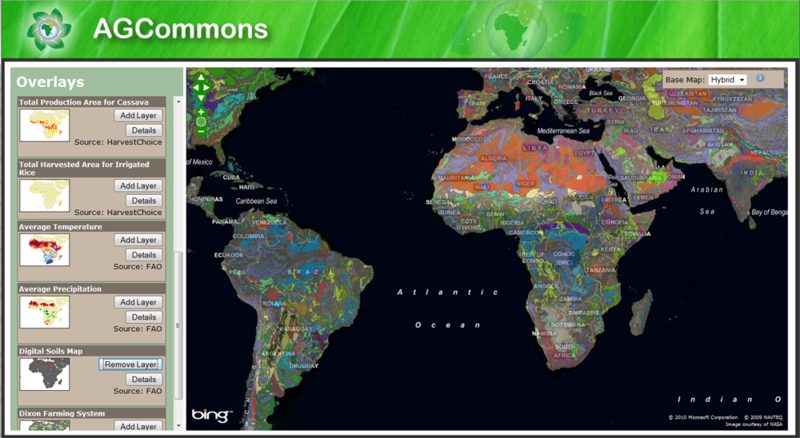 VILGA, a visually-interactive linked geodata application for geospatial knowledge exploration. 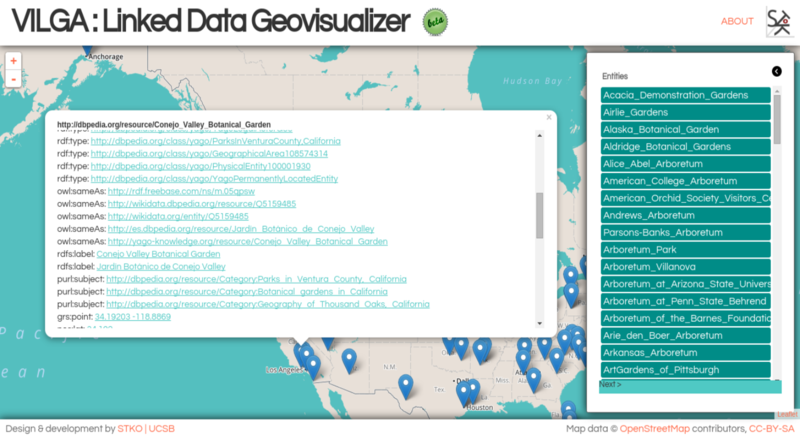 VILGA allows users to explore any spatially-enabled portion of the linked data graph both through the relational properties and the geospatial properties of the data. 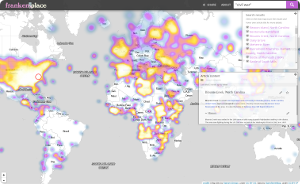 Without any existing knowledge of SPARQL, VILGA allows users to query a linked data endpoint through the construction of geospatially enabled complex visual queries. Scientometrics play an increasingly important role in facilitating the understanding of different research fields as well as research topics within them. The medical informatics community is one such field. This portal allows users to visually explore how the MIE conference has changed and grown over the past few years. 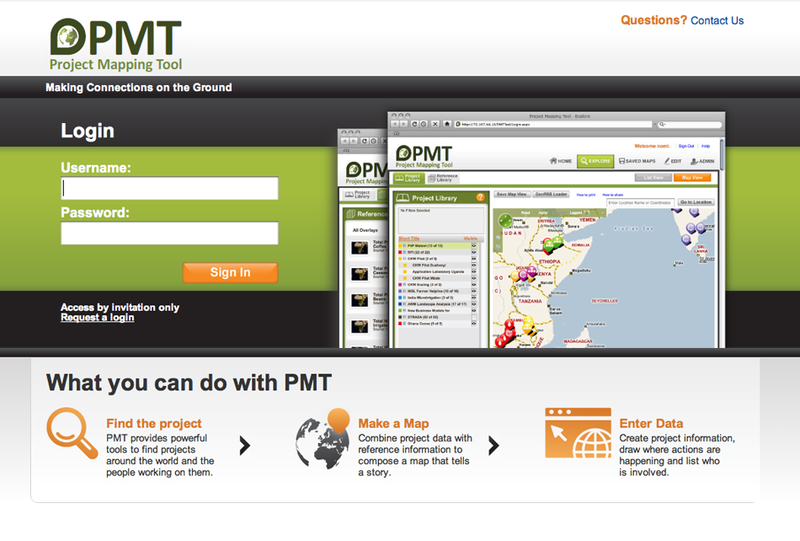 A Linked-Data-driven Web portal for the field of learning analytics. The purpose of this portal is to allow users to browse Linked datasets, search for researchers, interact with dynamic visualizations, and perform in-depth analysis. 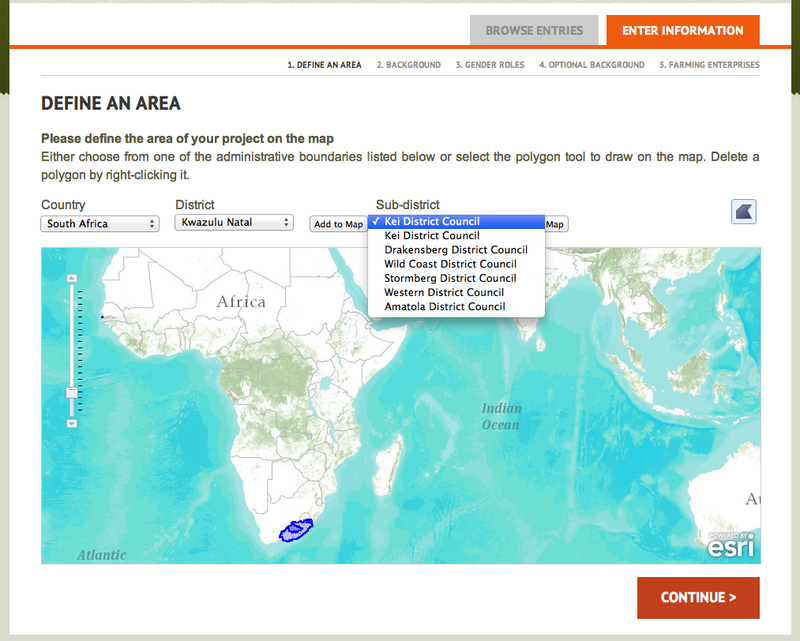 We first enriched the datasets with geographic locations of research institutes and study topics extracted from papers. 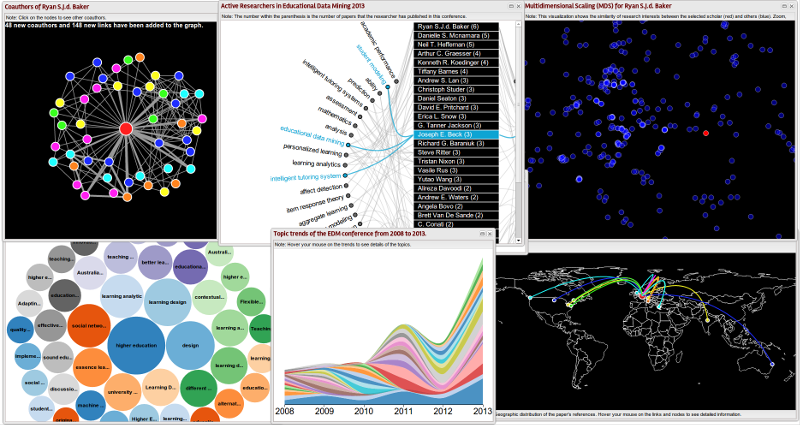 The Citation Map is designed to visualize the spread of scientific ideas through space and time. 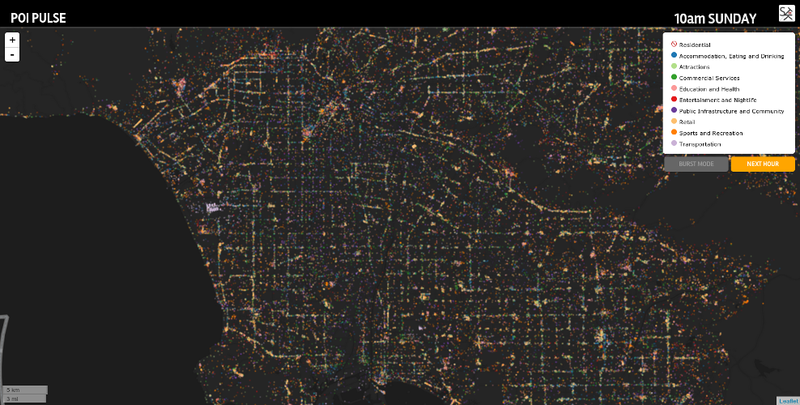 Mapping such geographic distributions can help discover the patterns of citations which may not be detected by simply looking at the numbers. 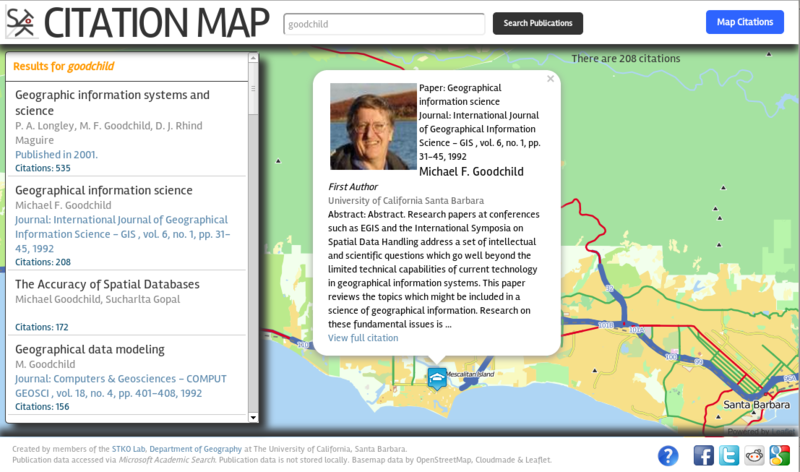 The Citation Map can help researchers discover possible collaborators on the other side of the globe or remind academics of similar work being conducted nearby. The Open Aid Partnership (OAP) brings together development partners, governments, civil society organizations, foundations, and the private sector to improve aid transparency and effectiveness. 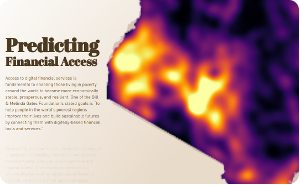 The OAP's goal is to collect and open up local development data to engage citizens and other stakeholders in evidence-based conversations on development. 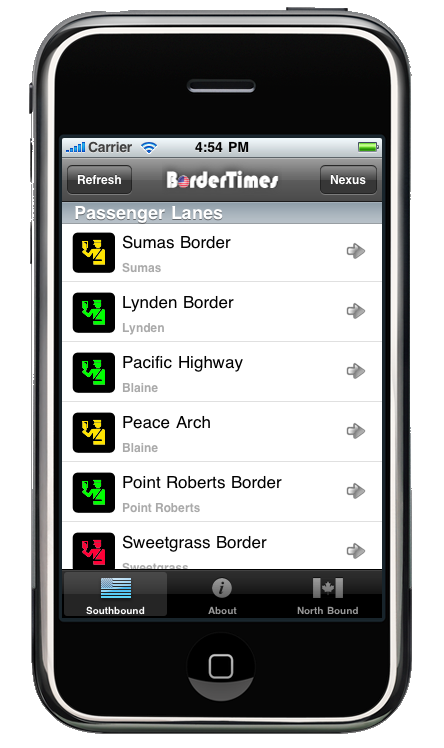 BorderTimes gives users the ability to access US/Canadian land border (Customs & Immigration) wait times from their iOS, Android or Mobile Web enabled device. 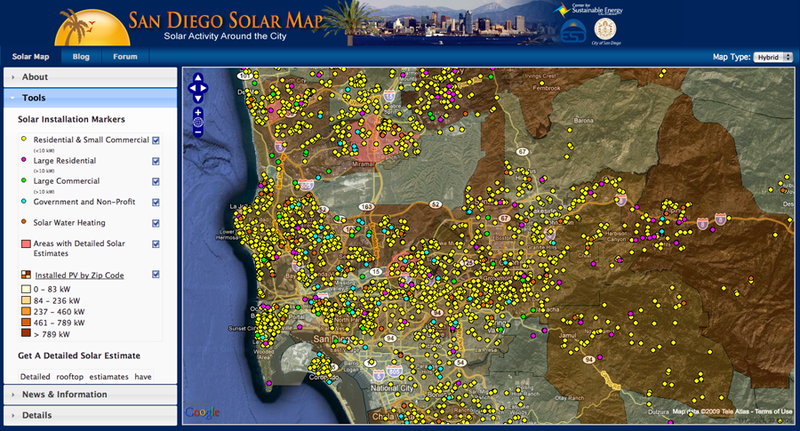 The application offers both a Northbound and Southbound Quick View that lists all the land borders along with a green, yellow or red icon (indicating wait time). 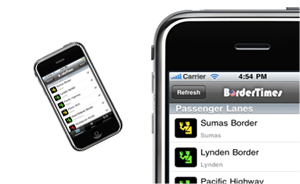 Users can toggle between Passenger, Nexus and Commercial wait times. 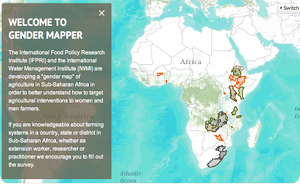 The International Food Policy Research Institute (IFPRI) and the IWMI are developing a "gender map" of agriculture in Sub-Saharan Africa in order to better understand how to target agricultural interventions to women and men farmers. 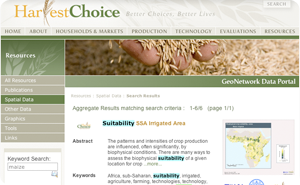 If you are knowledgeable about farming systems in a country, state or district in Sub-Saharan Africa, whether as extension worker, researcher or practitioner we encourage you to fill out the survey. 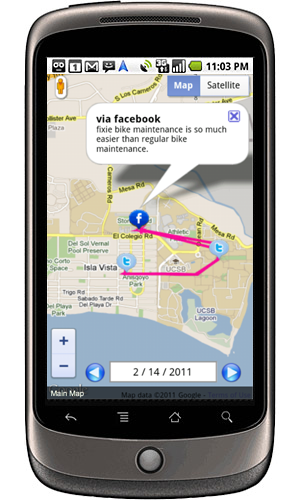 ActionMappr allows you to create a location-based collaboration tool for anything. 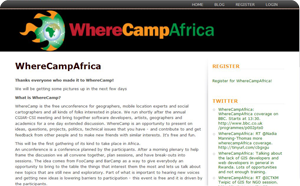 It supports the great ideas of people all over the world whether working with the public or starting a new enterprise. 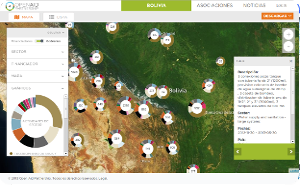 ActionMappr is backed by a powerful database and spatial analysis tools and kept up to date using mobile and social technologies. 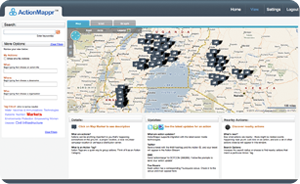 With a simple and easy-to-use interface, GeoFUSE allows customers to use the Internet for locating and identifying available imagery from their extensive archive. 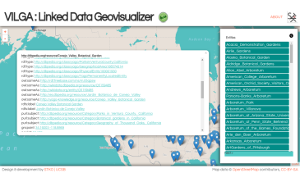 Built on the ubiquitous Google Maps platform and ESRI's ArcGIS Server 9.3 technology, GeoFUSE makes it easy for GeoEye customers to locate a place on the globe and search for archive images using just a few simple tools. 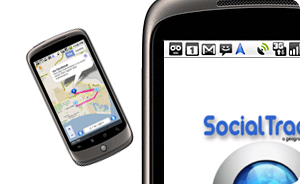 A research tool for gathering, viewing and analyzing social spatio-temporal data through a mobile device. 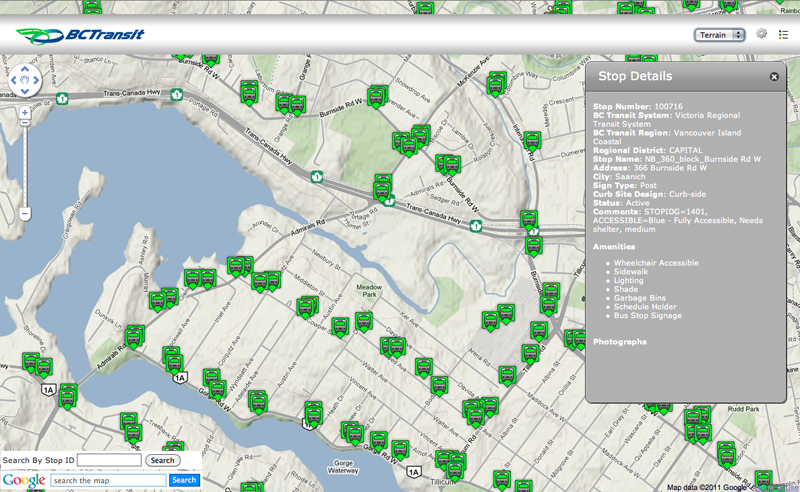 The system allows administrators to add, edit and delete bus stop locations and attribute data. 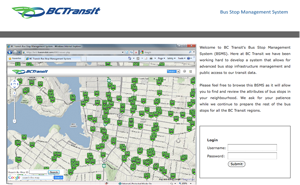 The public facing front-end allows users to access a plethora of information about a specific transit stop. 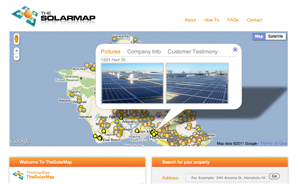 Based out of Hawaii, TheSolarMap.com is the World's first map-based online source to locate installers that showcase their products and as well as get their feedback from customers. 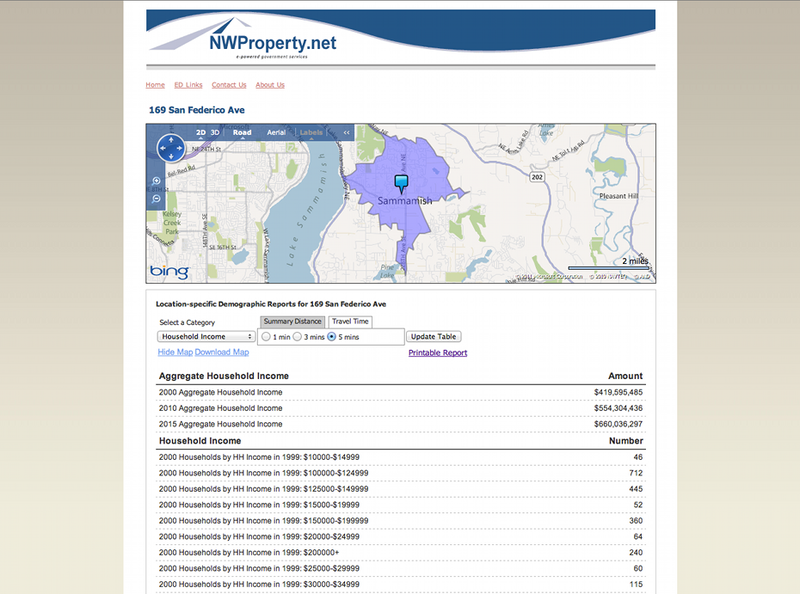 NWProperty.net demographics page shows demographics based on 1,3,5 Mile radius as well as 3,5,10 minute drive times and city level. 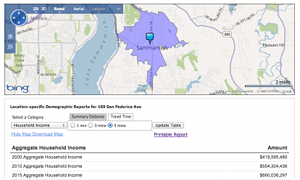 Features include viewing drive times on the map and downloading PDF demographic reports. 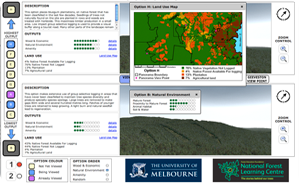 A University of Melbourne and Forestry Tasmania on project involving the public in future forest decisions. 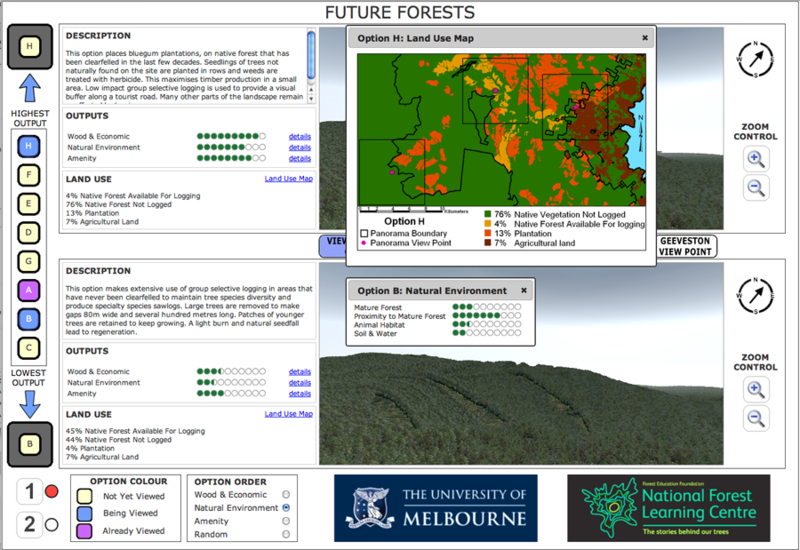 The interface allows users to drag, drop and compare a number of different "forest scenarios." 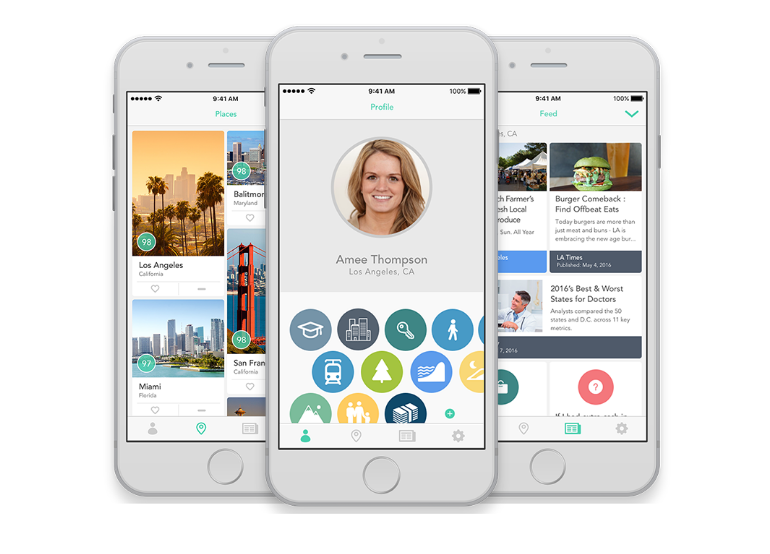 Each option presents benefits and drawbacks and gives the public the ability to rank and vote for the option that best fits their goals. Bonterra Solar, previously one of the largest and fastest-growing solar energy companies in Hawaii. 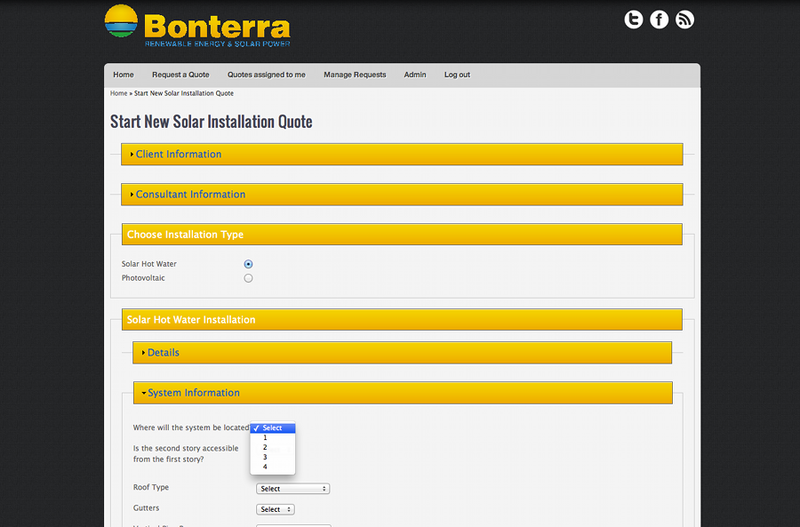 Internal management system for requesting, assigning and scheduling solar installations. 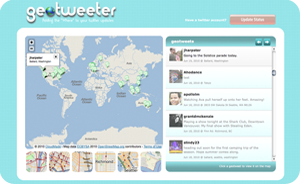 Geotweeter was an application that worked with Twitter not only allowing you to update your status, but also include a map of your location. 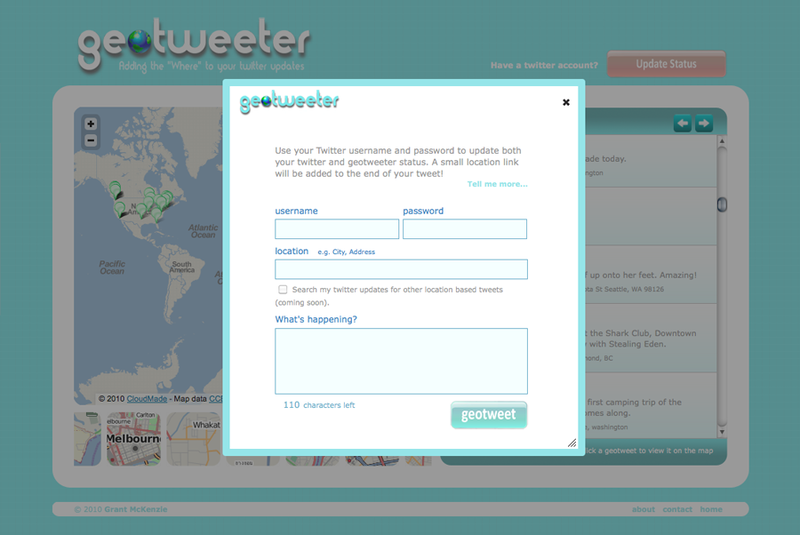 Through the mapping power of geotweeter you can spatially spice up your status with a link to a map of your location. 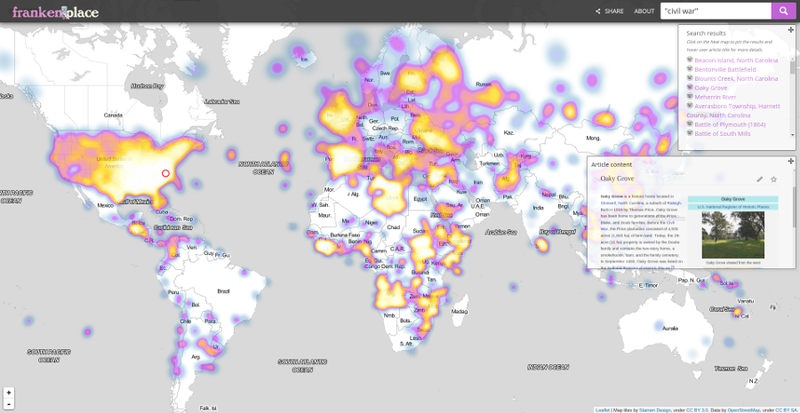 This is before twitter curated their own "place" dataset. 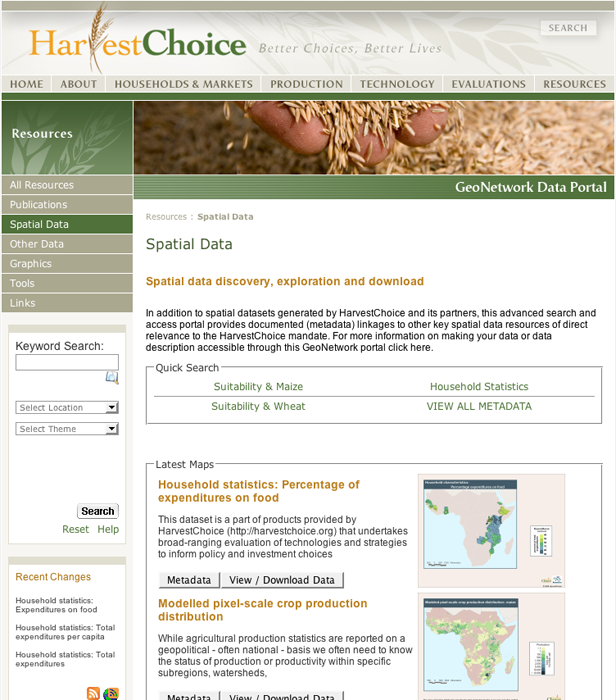 The Harvest Choice Spatial Data Portal is a spatial search tool built on top of GeoNetwork Opensource that allows users to search though a network of metadata nodes, view the related spatial data through a web map and download specified portions of the dataset in a variety of formats. 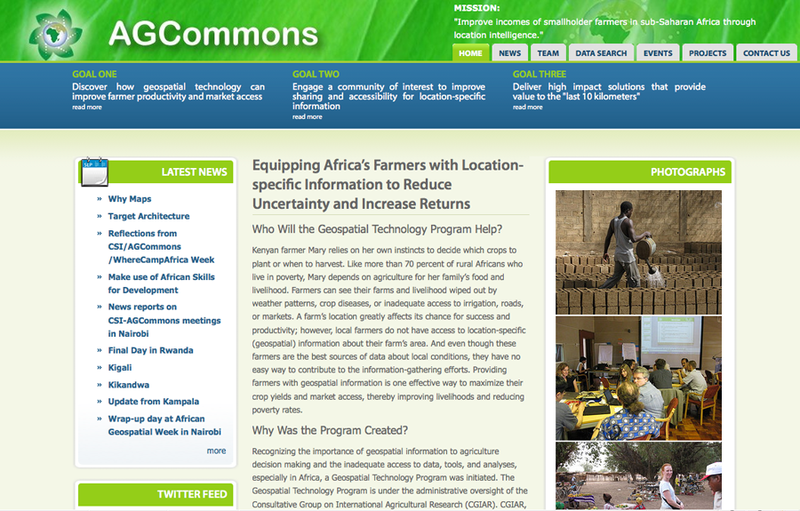 This applications platform provides key elements for geospatial information discovery and accessibility: a comprehensive metadata catalog supporting robust search for geospatial data; an overlay library providing a data gallery for previewing contents of the AGCommons database; and the SMS query interface for access to the data via mobile phone. 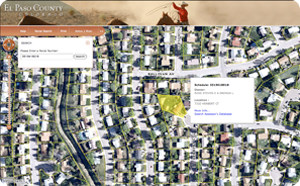 The El Paso County Parcel Mapping Tool allows residents to search and discover information pertaining to specific parcels within the county of El Paso, Colorado. 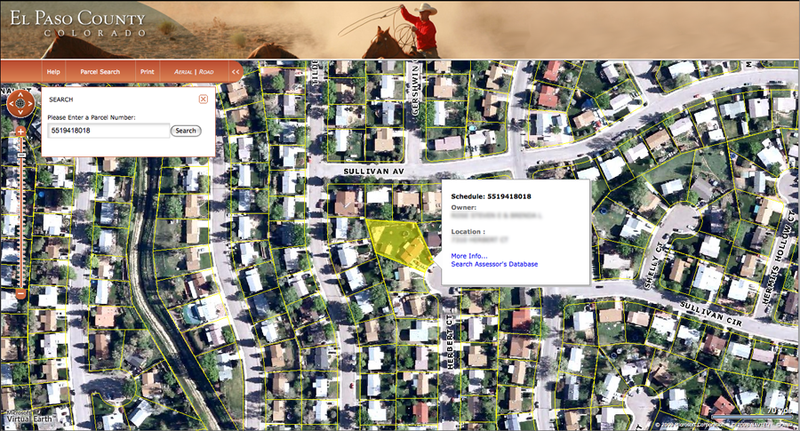 Users can either search by clicking on a parcel via the map interface, or entering a numeric parcel code. 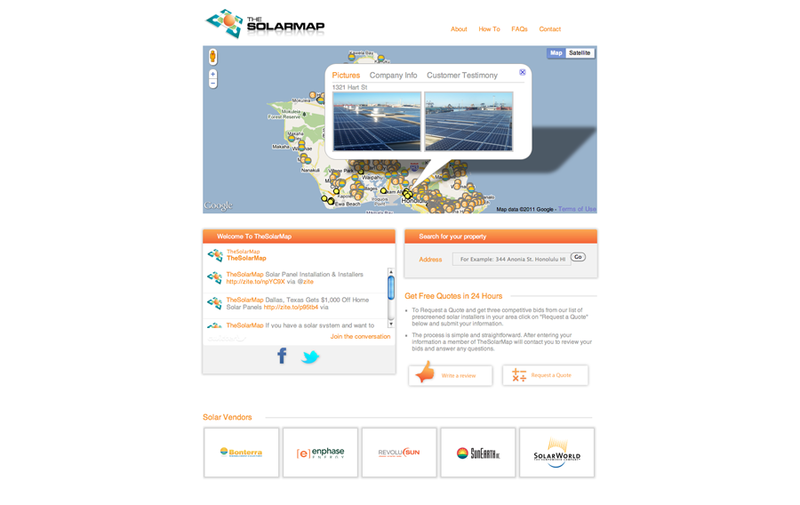 A custom Joomla Component was developed to allow CCSE staff the ability to add, update and delete solar installations on the Solar Web Map. 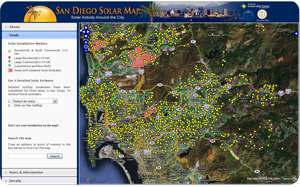 MapServer and TileCache were used to automatically generate tiles after each change to the database. 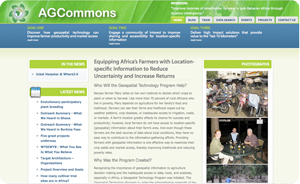 Equipping Africa's Farmers with Location-specific Information to Reduce Uncertainty and Increase Returns. 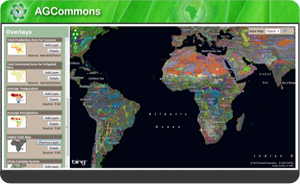 The site acts as a combination information source, document repository and geospatial data portal for all things related to Agriculture and Geospatial data in Africa. 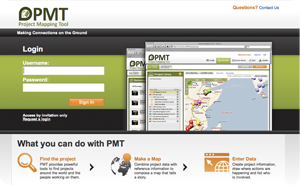 The Portfolio Mapping Tool (PMT) aims to connect people across the globe through map-based collaboration and visual storytelling. Bill & Melinda Gates Foundation. 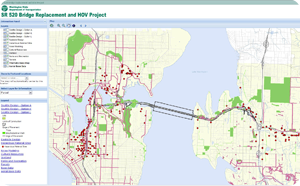 SR 520 bridge project in Seattle. 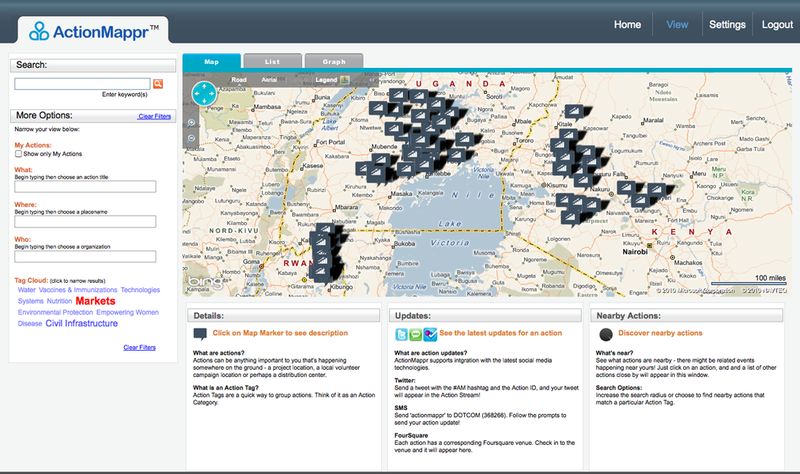 Internal GIS data management system for the project. Intranet release only. 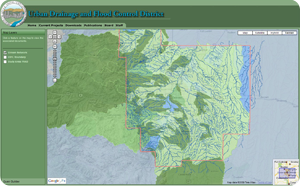 The Urban Drainage and Flood Control District works with local governments to solve and prevent multi-jurisdictional drainage and flood control challenges in order to protect people, property, and the environment. Website for the Vancouver based Pop Punk band Remember August. 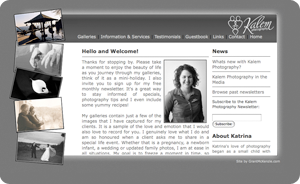 Website for the Richmond, BC based photographer Katrina Michell.